The urban dictionary defines a weasel as a “shifty, scheming person that will do whatever they need to to escape whatever they fear in the moment”. There are sufficient examples of weasels, or weasel-like behaviour in today’s society. Corporate culture is overrun by weasels. Public space is overrun by weasels. Anyone who lives in a domain where the “political impact” of the message is more important than the message itself lives in a weasel world. This world is overrun by PR & public imaging pros who are specialists at burying messaging in paragraph after paragraph of weasel speak. Consider the email sent to all Microsoft employees by their CEO. I would implore you to read the excellent analysis of this email by Ars Technica’s Lee Hutchinson. This isn’t the first instance of labelling the inhumanity of taking someone’s earning away as “corporate restructuring” or “workforce realignment”. If you are going to lay off 18000 people(allegedly), then you might as well be honest and upfront about it. Send a 2 line email saying “I’m sorry, but some of you will not have a job after 6 months. I will try to make this process as humane as possible.” and that’s it! Of course people will question your million dollar salary etc etc but if you think that their questioning is fair, then grow a pair of balls and save a few thousand of those jobs by cutting your(& your senior execs pay). But naah… you’d rather pay your PR boffins to come up with long emails pretending that you aren’t the one responsible. The same behaviour is being shown by Russians & their Ukrainian rebel friends. If you shot down a civilian plane and murdered 300 people in cold blood, have some guts to accept what you did and suffer the consequences. Don’t try to hide evidence, don’t try and pretend that you will support international observers and investigators only to hold guns to their heads when they arrive at the site. Have some respect for those people who died due to your stupidity, and give them what they are owed, dignity and decency. Your cause, no matter how morally justified it may be, is not greater than those innocent that you murdered. And if you didn’t, then have no fear. Pretending that your actions are only to ensure fairness is being a weasel. 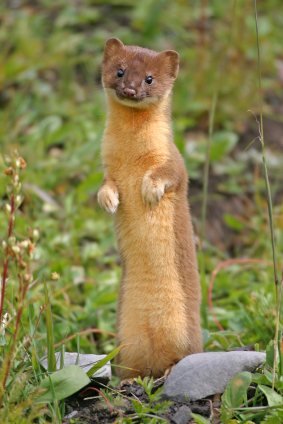 At some level, we are all weasels. We don’t want to be honest, we want to be politically correct. The price to pay for honesty is too damn high. You can’t be honest and tell a co-worker that they are making mistakes and not doing a good job, they will complain about your “way of informing them” and you will be censured. Be honest to me, they say. But they cannot bear honesty and can’t digest the truth. Let us just stop being weasels, stop blaming “factors outside our control” for our actions, stop owning responsibility for our wrongs, stop being people we don’t want everyone else to be! If you can’t accept your mistakes, then you have no right to ask or expect anyone else to accept theirs.